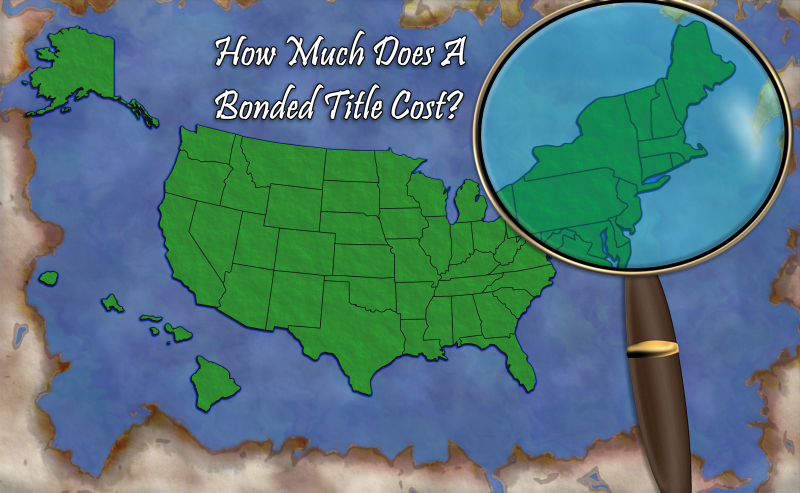 Determine how much you'd pay for a title bond by using our interactive map. The price you pay for your bond is based on the state you live in and the value of your vehicle. When you apply for a bonded title, be sure to apply for the correct bond amount. Your bond amount will either be 1, 1.5, or 2 times the value of your vehicle depending on what state you are titling the vehicle in. You do not need to pay the full bond amount to get your bond, you will just pay a small percentage.